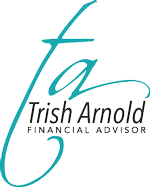 Our staff consists of experienced professionals with a "hands on" approach to financial guidance. Not only do clients find our team members knowledgeable, but they also discover that our staff truly cares about making their dreams a reality. As your trusted advisor, we are here to listen, guide and inform you, with caring attention every step of the way. We do everything in our power to keep our clients focused on where they want to go, advise them on how to get there, and continually remind them of the importance of maintaining a disciplined approach in working toward their dreams. “It is important that we learn about our client’s goals and dreams before we make any recommendations”. As independent Advisors, we have no obligations to investment product manufacturers and no quotas or home-office directives that may lead to conflicts of interest.